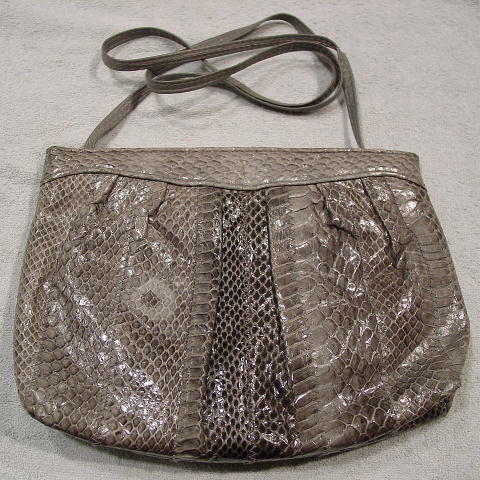 This vintage Sylvia snakeskin purse is in multiple shades of gray. 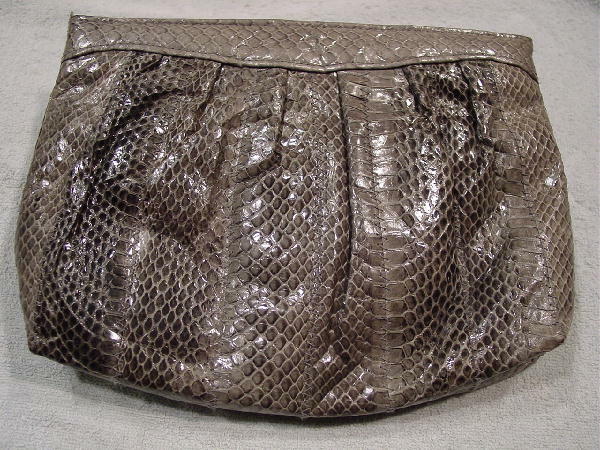 It has side gold-tone hinge openings, a dark gray thick fabric lining, and an interior zipper pocket. The thin 40 1/2" leather strap can be tucked inside and you can carry the purse as a clutch. The inner 1 1/4" wide rim is in a medium gray leather. It has gathering front and back extending downward from the horizontal upper panel. The leather strap has some scrapes on the edges. It belonged to a former Chicago model.